Martin Kallen, the UEFA Director responsible for the organization of the Euro 2012 finals, strolled through the Palace of Culture and Science – where the draw for European Football Championship qualifying groups was held – with pride. 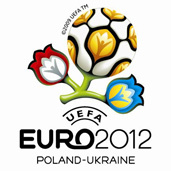 He ensured that the draw, a test for Poland as co-host of the championships, was enjoyed by all participants. – The draw was very successful – it was a great start of the tournament. All the guests felt a little Polish spirit. From what I heard, everyone was happy and satisfied. Now they are going home and will battle it out on football pitches for the chance to return to Poland with their teams in 2012,” said Kallen. – It’s hard for me to judge the draw’s results. Traditionally, the A team travels far distances. And it will be the same this time. The German team will travel to Kazakhstan and Azerbaijan. I for one was anxious about Switzerland – he added. A film summarizing the 50 years of European Championships was show during the draw. Fryderyk Chopin’s Ballade No. 1 served as musical accompaniment. – We came up with the idea together. We talked about a main theme for the ceremony, and as it turned out Chopin and the anniversary of rivalry for the title of Champion of Europe fit together nicely – he explained. Kallen is responsible for the organization of the UEFA tournament, which is why he pays Poland and the Ukraine frequent visits. Kallen keeps up to date with the progress in both countries. – I think that we are on the right track, although there is still much to be done – in Poland and in the Ukraine. We are monitoring each month’s progress. At the moment we aren’t entirely satisfied, but UEFA is never 100% satisfied before a tournament – he assured.